Hotmail is a free (i.e. advertiser supported) web based e-mail system that the Microsoft Corporation provides. 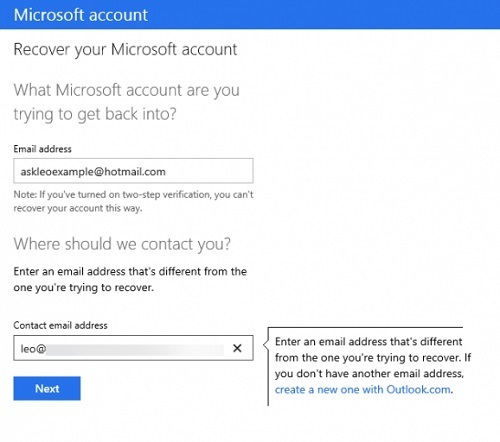 Part 1: How to Recover Your Hotmail Password When Lost Or Forgotten? There are several reasons you may need to recover your password: a) someone tried to access your Hotmail account without the necessary authorisation and you have been locked out, or b) you have forgotten your password because you have too many of them. Go to Outlook.com. Once the landing page is up, click on the Can’t access your account? link – it should be below the Sign in button. You will be transferred to the Why are you having trouble signing in? window. Select the I forgot my password option and click Next. 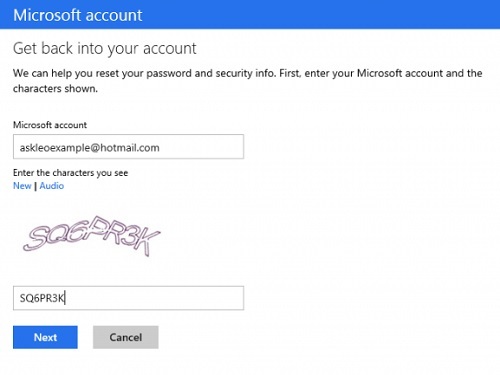 Type in your Hotmail email in the Microsoft account field and enter the right characters for the Captcha verification. Click Next. Select your preferred verification option. 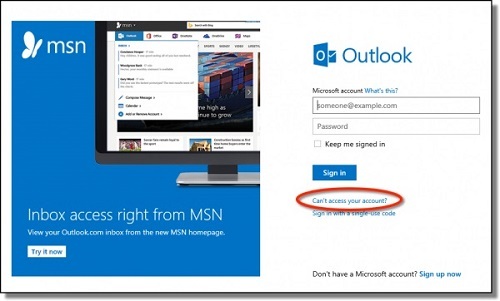 The link to the password recovery page will be sent to one of the many methods to recover your Hotmail password. If you clicked on the I don’t use these anymore option, you will need to fill out a short form to retrieve your password. These are basic information that will verify that you are indeed the owner of the account. Depending on how accurate your submission is, you will receive an email from Microsoft stating the success of your request. If you are successful, you will receive an account recovery code. Enter the Recovery code in the corresponding field. Click on the Use Recovery Code button. Proceed with completing the Hotmail password recovery process. 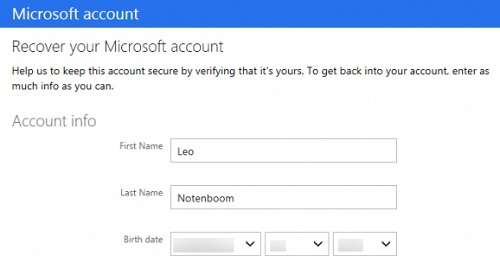 Part 2: How To Reset Your Hotmail Password? Have you been unsuccessful in logging into your account? If you are confident that your password is correct, but the system insists that the password does not correspond with your email account, a) m ake sure that you have spelt your email address correctly, and b) C aps Lock is disabled before you trying again. Email: when you were setting up your email account, you would have probably been asked to input a recovery email address. 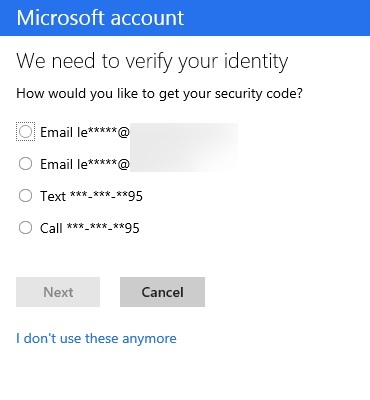 If you have, you will be able to prompt Microsoft to send a verification code to activate the password reset process. This is the most secure way, but you must have set up a secondary email for this to work. Secret Question: like the recovery email address, you will need to set this up. This is the easiest way to reset your password, provided that you can answer the question correctly because everything is done in the same frame. Make sure that your account has not been inactive for more than 365 days. This countdown starts from the last time you log into your Hotmail account. Your account will be deleted if it has not been accessed in over a year. If you deactivated your account yourself, you will only have 30 days to change your mind. A deleted account and its corresponding password will be permanently deleted after the grace period. To get your password faster, make sure you provide a current alternate email address and mobile phone number to your account. Make sure you select a security question and provide your answer. Always check the address bar before you sign in. If the URL does not include login.live.com, there is a high probability that it is a phishing site. NEVER enter your password in this page. 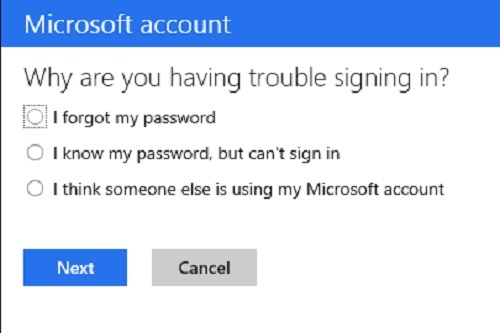 Do not log into your account from a computer you do not trust. It may have been infected with malware and viruses that are able to steal your Hotmail password and have unauthorised access to your Hotmail account. Refresh your password as often as possible. This is to avoid others from guessing your password. Use the same password, but use different variations of it e.g. monkey, MonKey, m0nk3y etc. so that you would still remember the password. Make sure that your antivirus software e.g. Microsoft Security Essentials is active – this is to help protect your computer from any virus attacks. You should also update your current antivirus software regularly to ensure its database is constantly updated to keep your device protected. So that,As you can see, it is really easy to recover lost or forgotten Hotmail passwords. However, in order for you to successfully retrieve it, you will need to provide Microsoft with as much information as possible to make the whole process much easier. Go through the steps above to ensure you are able to recover lost or forgotten Hotmail password without much efforts.